Classroom Gardens for Urban Classrooms | Clarity Innovations, Inc.
A cross disciplinary standards-based curriculum that engages elementary students in aquaponic gardening inside their own classrooms. Stephen Ritz—whose energy and vision have propelled Green Bronx Machine into the public eye through appearances with Oprah, on The Food Network, and in countless classrooms across the US, Canada and around the globe—has a single minded purpose: to “cultivate minds and harvest hope”. Apparently, it works. After offering his garden classes in several Bronx schools, they reported a 45% increase in passing the New York State Science Exams, and a 50% reduction in behavioral incidents and out of school time. 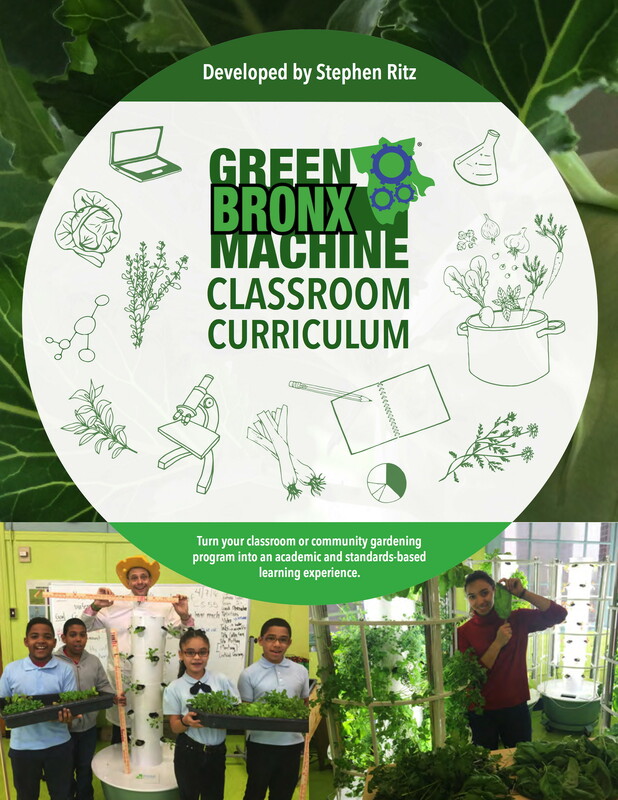 The Green Bronx Machine model was shown to be effective, but needed a way to scale up—helping students around the world and not just in the Bronx. Stephen needed to find a way to reach and support teachers as they began their own classroom gardens, and was finding he had less and less time in between giving workshops, presentations, and tending to his own school garden in the Bronx. On the advice of his co-author of his new book, he came to us for help in furthering his reach and making his dream curriculum a reality. We could see that part of his success was infusing the garden project across the learning day, rather than confining it to science instruction—and that most of all, it had to be fun! We worked closely with Stephen to understand what kinds of activities, resources and assessments he’s been using, and then brought our own expertise on student learning, teacher professional development and national standards. We leveraged our content and pedagogical knowledge to create a nine-week, standards-based curriculum that includes math, science, ELA, social studies and the arts, all in one easy-to-follow Teacher Guide. Each week, teachers are provided all worksheet masters, activities, and assessments needed, and supported through differentiated activities and online resources. The curriculum is now being piloted in 50 schools across North America. According to Stephen, demand for the curriculum continues to increase, and is expected to surpass 500 schools in the 2017-2018 school year.